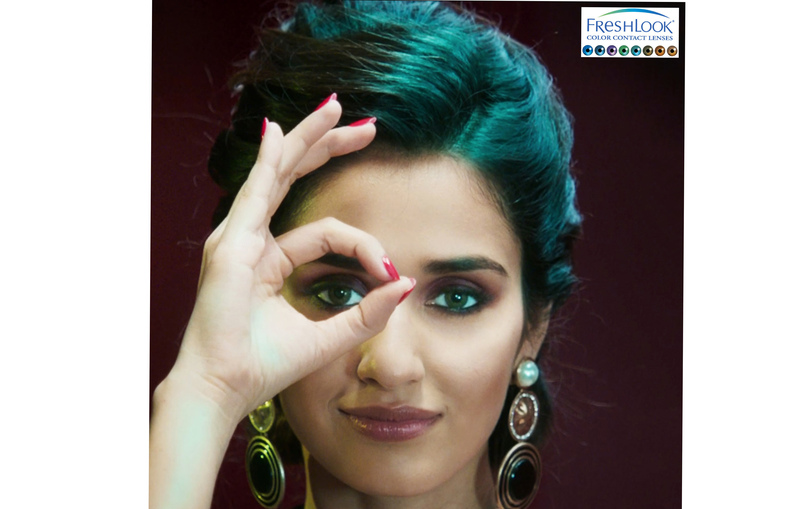 Fresh look the colour contact lenses from the global eye care leader Alcon, a division of Novartis, has signed the Bollywood Actress DishaPatani as their brand ambassador. The brand offers a wide palette of refreshing colours. The colour-blend technology ensures that whichever be the colour chosen, the effect is elegant and enchanting. Your eyes are the first thing people notice about you. Alcon’s FreshLookcolour contact lenses will give your face an instant lift. Contact lenses are a trendy fashion fun accessory to let a woman express herself in a myriad of ways. Just pop in a colour from the wide range of FreshLook color lenses to enliven any outfit by changing your eye colour to blue, grey, green, pure hazel, amethyst, turquoise and sparkling brown. Speaking about the Brands association with Disha, Ms. Panchali Upadhaya, Alcon Vision Care, Business Unit Head, said that “We all love Disha’s delightfully fresh sense of style.” These colour contact lenses are Disha’s choice because they add glamour and charm to her naturally effervescent personality. She loves the ease with which FreshLook can rev up her style quotient. FreshLook one day colour contact lenses are available across India in a box containing 10 lenses with a recommended selling price of Rs.900/- per box and FreshLookColour blends monthly disposable colour contact lenses are available in a box containing 2 lenses with a selling price of Rs.995/-.